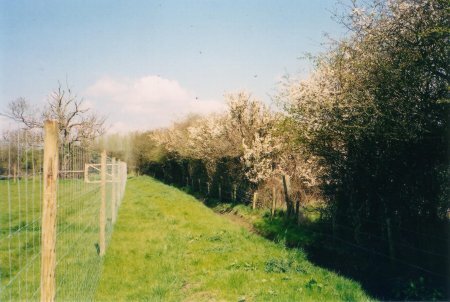 The Deer Fence was put in place in Oct 2003. The intention was to prevent the numerous wild roe deer from chewing the 300 Major Oak saplings soon to be planted on our 7 acre field at Bear Mead. Length was 700 metres, height 2 metres with two entry gates (West and East). Total cost was £4,000, but we got a grant of £500 from the Dorset branch of the International Tree Foundation. The Deer Fence saved our little oaks. We have never managed to plant saplings outside the fence without individual protection. Ecology inside the fence is unusual. Wild flowers proliferate and the grass grows. Other trees plant themselves - ash, blackthorn, oak, hawthorn. The fence makes an excellent support for a young hedge. There have been problems. 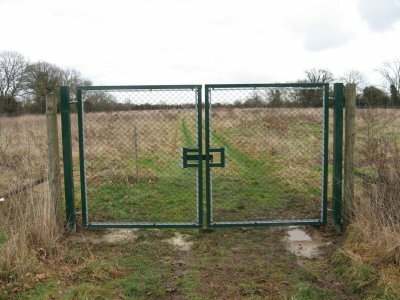 The gates gradually deteriorate - after 6 years we replaced with a metal gate. Falling branches occasionally caused damage. Humans twice cut through to steal valuables inside (all valuables are now kept at home). 25 Aug. Cut some branches overhanging deer fence from dead ash trees, using excellent telescopic handle and curving saw. 19 May. More high, heavy pruning of trees overhanging South deer fence. Added logs to new logpile. 08 Mar. Found the Nursery had been robbed, probably on 05 March. Most of our hand-tools taken, chain, auger and sawhorses.. 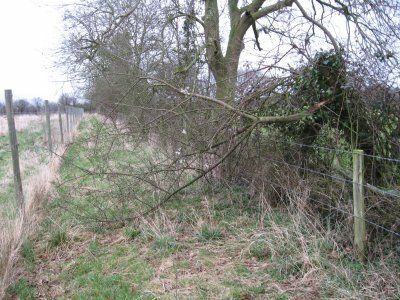 The thief cut through the deerfence near NZa, then through the Nursery fence near S3. Two tools were dropped, one in the grass near the main gate and one in the lane, which makes me think it was done at night with a car and trailer. They took a wheelbarrow (the one with a punctured tyre). In future, we will keep all our tools in the car. We contacted the police with difficulty. Because of the Flood, we were 3 days late discovering the theft. 05 Dec. In poor weather, pruned away chunks of the hawthorn which has fallen across SW deerfence (fortunately with almost zero damage). Too heavy to push trunk back into next field, must wait till man comes to deal with the ash tree. 03 Dec. High wind last night. Showed Dave Hawkins round Plantation and Reserve. Large ash has blown down in SW corner of fields #4/#5. Contacted my brother (owner of field #4) and we agreed I should hire man with chainsaw. Tree was in hedgerow, so shared by us. Small hawthorn from MS field has blown across South deerfence, not much damage done. Plantation still quite wet. 28 Jan. Cut two high tree branches overhanging our deer fence. Used 3 metre plastic pipe with garden saw strapped to end. When heavy branch falls, fence must be protected with chain fixed between fence posts. 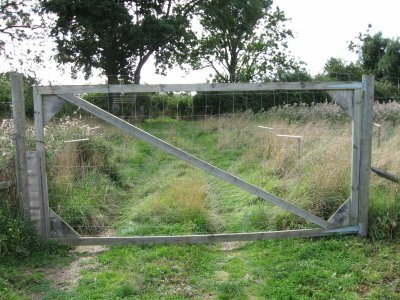 16 Dec. West gate in deer fence modified to deal with water flow when flooded, which distorts the gate and could break its frame. 29 Mar. Recorded width of all oaks planted. see sizes Both deer fence gates rehung. 22 Oct. Building perimeter deer fence begins, and is completed in 14 days. 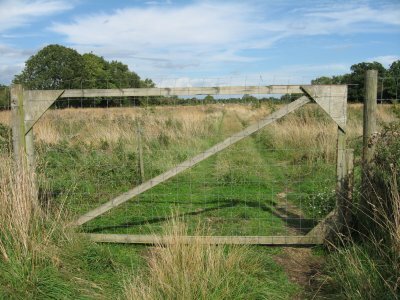 17 Oct. Having received a good quote from a professional fencer, we give the go-ahead on 700 metres of 2 metre deer fencing around the perimeter of the 7 acre field. 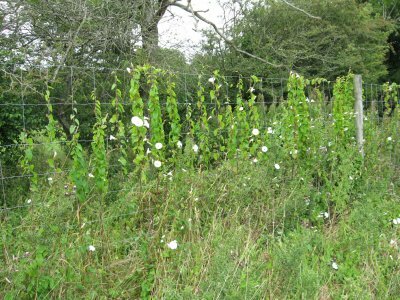 16 Oct. We hear we have been awarded a £500 grant by the International Tree Foundation towards the cost of deer fencing.